Raw Organic Acai Powder wild harvested from deep in the Amazon forests. Acai has an incredibly high ORAC of 101,495 uM trolox / 100g. Açai Berries are one of the richest natural sources of antioxidants, especially anthocyanin. The berries are hand picked and freeze-dried, which preserves their nutrients in the natural wholefood form making them easier for our body to absorb. 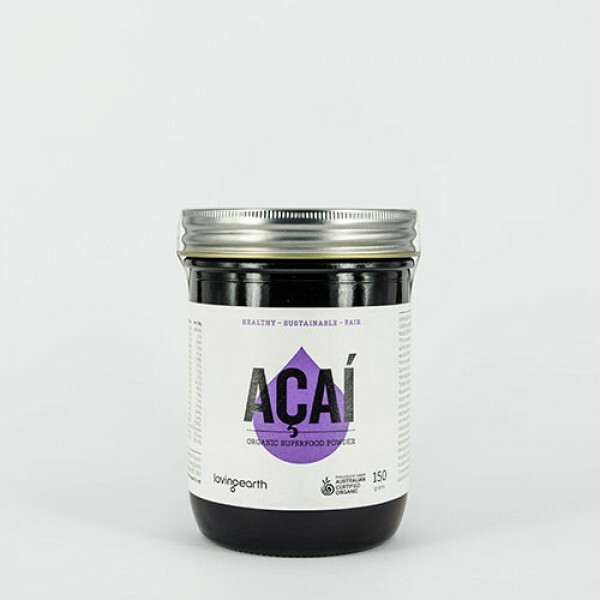 This Açai is wild harvested from deep in the Amazon forests. This means the fruit grows in its native bio-diverse ecosystem maintaining its natural nutrient profile. Wild harvesting ensures that the delicate environment of the Amazon is protected and the ancient traditions of the indigenous people from this region are respected and preserved. Legend has it that there was once a prosperous Amazonian tribe that fell into troubled times - due to a large population and an unexpected drought, they were facing severe food shortages. Itaki, the leader of the tribe, had no choice but to forbid the birth of any new babies in order to save what little food they had. Any child born would have to be sacrificed for the benefit of the tribe. Unfortunately, his own daughter, Iaca, was bearing a child at the time – the baby had to be sacrificed as soon as it was born. Iaca cried day and night for the loss of her child and prayed to the forest Gods for a solution to their plight. One night she heard a baby crying outside and followed the sounds – her body was found in the morning under a palm tree covered with fruits. The tree was named Acai in her honour (Iaca backwards). The people of the tribe found the Acai berries to be highly nourishing and used them for sustenance, saving them from starvation. 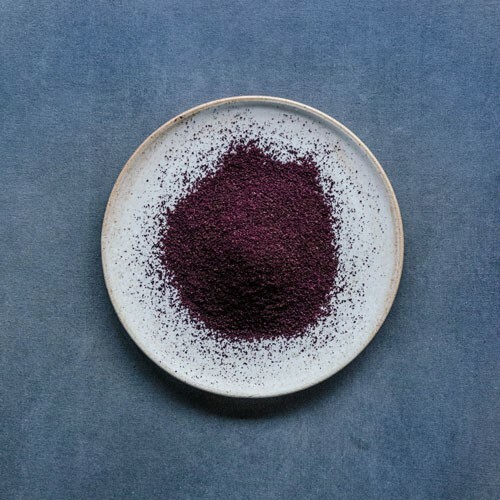 Our Acai Powder is wildharvested from Acai palms growing in the coastal estuaries of the Tumaco region in Colombia, where they get mineralised by the Pacific Ocean. 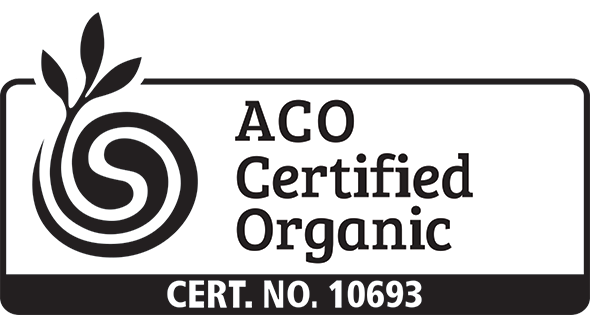 This along with the fact that the Acai pulp is NOT pasteurised before it is freeze dried results in an ORAC score of 182,146 uM trolox / 100g. This is nearly twice as much as Acai sourced from the Brazilian Amazon making it an extremely high source of antioxidants. Acai is rich in anthocyanin (a type of antioxidant), which helps reduce cholesterol levels in the body. 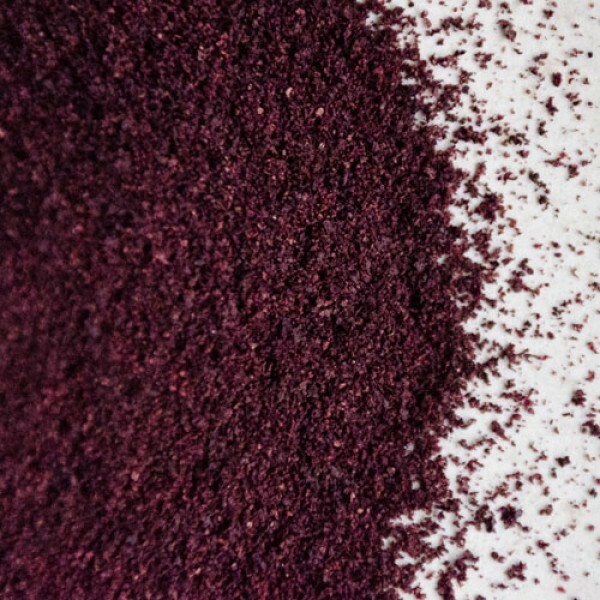 Anthocyanin also helps protect against free radicals that decrease our ability to fight against certain diseases and also increase the effects of aging. Plant sterols in Acai help improve blood circulation by relaxing the blood vessels. Acai berries are great for smooth, healthy looking skin. They also have anti-inflammatory properties, which help with soothing inflammations caused by allergic reactions. Acai is also a great pick-me-up for whenever you need a quick energy boost. Loving Earth’s Acai comes in a beautiful amber jar - the ideal way to store superfoods. Eternally recyclable, these glass jars look fantastic. The label easily peels off after use, leaving you with a great way to store your kitchen supplies.